06. Who Will Take My Place? 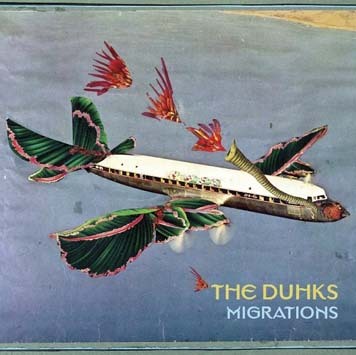 THE DUHKS self-titled release in 2005 won them universal acceptance as THE up-and-coming neo folk-rock band. Visually stunning, musically inventive, and emotionally stirring, THE DUHKS garnered massive critical acclaim, as well, topping year-end lists, winning a JUNO award, and successfully touring the world. With the release of MIGRATIONS, THE DUHKS will doubtlessly elevate, as the talented young quintet continues to develop its singular brand of eclecticism with an album that is increasingly confident, personal, and distinctive. The most vital acoustic music being today acknowledges its predecessors and lives in the here and now. For four years now, The Duhks, the band of five skilled, high-energy, tattooed twenty-somethings from Winnipeg, Manitoba, has been riveting audiences and winning staunch fans across North America and around the world with just that kind of music.